I am a little late on sharing this, but on January 28 the Snow Leopard Trust posted an update from their on-going snow leopard (Panthera uncia) research in the Gobi desert of Mongolia. It contains fascinating information about snow leopards’ daily habits. For this study, scientists put GPS collars on three snow leopards. These collars track the cats’ movements, and periodically send data to researchers. Scientists usually program the collars to send data once every five hours, but the Snow Leopard Trust’s crew set two of the collars to “ping” every hour. They did this to see if they were missing important information during the usual five-hour interval. It turns out that they were not missing any vital information. But they did learn a few tidbits about snow leopards through their research. For starters, it seems that snow leopards like to hang out in areas with good views: lofty perches from which mountain valleys are easily visible. As far as researchers know, this is because such spots allow snow leopards to see if prey is moving below them. Should prey be present, then the snow leopard can approach its quarry from above. 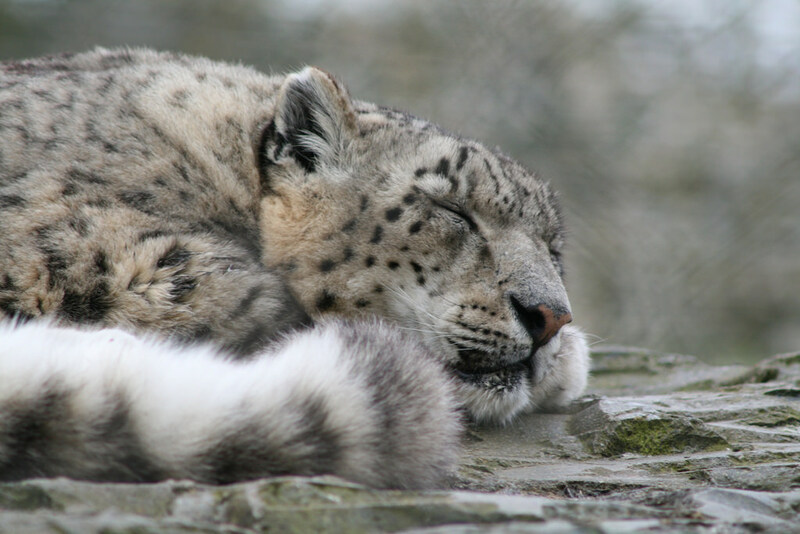 In addition, resting in panoramic locations makes it easier for snow leopards to stay away from threats – such as wolves and humans. And resting is something that the cats do for up to 18 hours each day. As the Snow Leopard Trust’s update points out, this is actually an important survival strategy. Snow leopards expend tremendous amounts of energy trying to chase down prey in mountainous terrain, and their hunts are often unsuccessful. As such, it is important for the cats to conserve calories whenever possible. So they are beautiful and sociable…….. Snow leopards certainly are beautiful, and they do have clever systems for keeping in touch with each other. However, they spend most of their time alone – with the exception of mothers with kittens. It might that humans are the only animal that don’t care much for views, especially when getting to the view requires climbing, scrambling, fear or discomfort. Interesting development though; who can blame a snow leopard for wanting views. Reminds me of the stags in the Highlands, which always seem to take up very proud and dignified perches on flat rocks overlooking the moors and valleys from mountain sides. Yea, for many of us survival no longer depends on being able to see approaching threats/food from a long way off. For humans, good views now serve as perches for fancy homes that will eventually feel the wrath of erosion and/or wildfires – at least in the western US.